Now you have an opportunity to get the comprehensive help you need to lose weight. And when I say free weight loss help, that's exactly what I mean. No purchase required. No obligation and no strings attached. I named my starter course Free Weight Loss Help because that's exactly what it delivers. Genuine weight loss help. Jam-packed with easy weight loss tips you can benefit from immediately. But that's only the beginning of your free online weight loss support system. Every page of this website is designed to help you lose weight without suffering another failed diet. When you have any questions, submit them to the Ask The Coach section of this site. I answer promptly and personally. And that's free as well. So what is easy weight loss? You've heard that promise before and been disappointed. Easy weight loss is a dietless diet that gets results EATING THE EXACT SAME FOODS YOU'RE EATING NOW. Lose weight in a reasonable time without the fuss, lifestyle change or emotional turmoil of a fire breathing dietzilla. Your Free Weight Loss Help Starter Course delivers more than just the most innovative weight loss information on the Internet... FAR MORE! Your Free Weight Loss Help Starter Course tackles the tough topics and offers real world solutions to your most pressing problems and urgent needs. 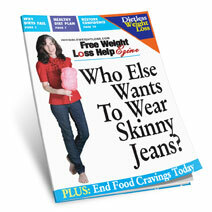 Free Weight Loss Help is a mini course in dietless weight loss. You get specific strategies you can use immediately. 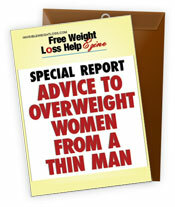 Plus my personal tips, hints, cheats and shortcuts learned from the most successful weight losers I've known. Many readers give it credit for removing the mystery of weight loss and offering a genuine healthy diet plan based on each person's preferred foods. Five hundred ten (510) dieters reveal the most important components for a weight loss effort to succeed. Diet food, grueling exercise, cravings, hunger, emotional turmoil, phony motivation and willpower were not included! Read the survey results and your head will nod in agreement just like mine did. This survey defines nothing less than a recipe for certain weight loss when followed. After working with more than 40,000 weight losers over three decades it's impossible not to identify trends, traits and similarities. Diets fail for as many reasons as there are dieters. But the vast majority of diets fail for one or more of these ten reasons. I guarantee you, weak will or lack of willpower have nothing to do with it. Frankly, once you learn the startling facts about dieting, hidden calories and the havoc they play on your physical and emotional life, you won't diet ever again. I give you a better way... a much better way. It's the easiest, safest, most sensible, natural weight loss plan on Earth. You may think I'm exaggerating. If so, get your copy of my Free Weight Loss Help Starter Course, then decide for yourself. What I reveal is a brief preview of the Invisible Weight Loss System. You are provided with many easy weight loss tips including the 10% solution strategy. Very effective for people with 30 pounds or less to lose but can't stick to a typical diet. Your Free Weight Loss Help Starter Course offers immediate and effective online weight loss support because you can use the strategies to start losing weight at your next meal. Getting rid of food cravings is a simple as taking out the garbage. Have any of your diets ended because food cravings drove you nuts? Ever wondered why the more you attempt to suppress a craving the more intense the craving becomes? Get answers to your questions, plus I tell you why my clients rarely experience cravings of any kind. Once you understand the five primary causes of cravings, they're as easy to dispose of as taking out the garbage. Now imagine for a moment... Would losing weight be more effective, easier and comfortable without suffering cravings every 20 minutes? You know it would. Cravings are absolutely unnecessary. Let me show you how to stop cravings in their track. 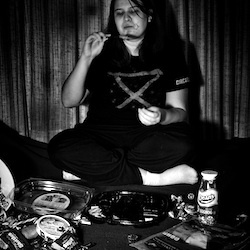 The biggest obstacle I face helping people lose weight has been the dieter's poor self-image and absence of confidence. More simply, they desperately want to lose weight but DON'T BELIEVE THEY CAN! After failing numerous diets, gaining additional weight with each failed attempt, self-confidence is ravaged. You learn what confidence is, how it's lost and the fastest, surest way to restore self-worth and confidence. I'm not aware of any FREE WEIGHT LOSS HELP available on the Internet, or anywhere, that offers you this level of proven quality, useful, easy weight loss tips and practical solutions to the obstacles that stand in the way of what you want most. Living life at your preferred weight without the worry, risk, stigma and health dangers of an overweight condition. You also receive free online weight loss support with this website. Plus, I'm there for you if you have a question. Just go to the Ask The Coach section of this site. I answer promptly and personally. Honestly, do you think the information I've described could help you lose weight and keep it off? Free yourself from cravings. Start a healthy no-diet weight loss plan. Restore damaged confidence and find out the components necessary to a real advantage for a new start. So why am I offering this valuable information free? Simple. I want to demonstrate my knowledge so you will know I am uniquely qualified to help you achieve your weight loss goals. To share a small part of what I learned helping over 40,000 people lose weight. If you're overweight I know you're hurting. By sharing what I learned about what works for weight loss and what doesn't, I can offer some much needed relief from your pain. You may doubt that, but it's true. I've spent my entire adult life working with people suffering the same problem as you. I understand your frustrations, fears, hopes, desires and dreams. I listened to them everyday for 28 years. So please believe me when I urge you to accept this simple fact. You possess every resource necessary to lose weight and live a naturally thin life free of all weight loss issues forever. Your life was NOT intended to be a choice between starving or being fat. Your happiness and health should not be held hostage by how much you weigh or how much you wish to lose. Subscribe to my Free Weight Loss Help Starter Course. It's free and a great starting point. Subscribe now. There is no risk. Nothing to lose. And just imagine the possibility of what you may become. P.S. As a free bonus for your interest in my Free Weight Loss Help Starter Course, you get the Special Report: "Advice to Overweight Women From a Thin Man." A heartwarming personal experience that may change the way you think about a lot of things. I know I did. Puts weight loss in proper perspective and should be read by every spouse, relative or friend of an overweight person. Nothing less than enlightening. True story. Just to say "thanks" for your interest in my Free Weight Loss Help Starter Course. Go to TOTAL ONLINE WEIGHT LOSS SUPPORT page. All finished with the Free Weight Loss Help Starter Course page? Return to HOME PAGE, healthy diet plan.